On December 28th, the awarding ceremony for the "23rd Nikkan Sports Film Awards � Ishihara Yujiro Awards" was held at Hotel New Otani, and the winners of the awards�attended�the ceremony. 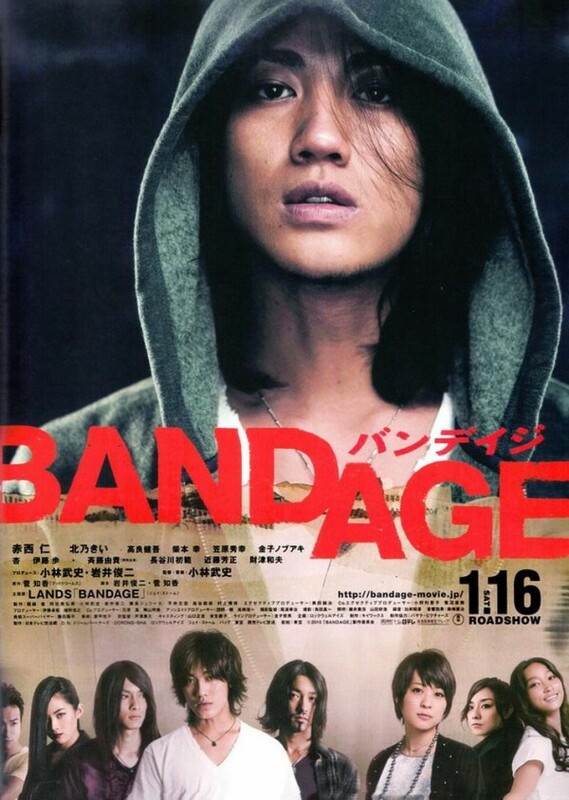 For the "Fan Award", "BANDAGE", which Akanishi Jin stared in, was chosen as the victor. �The winner of the "Fan Award" is chosen by fan votes, so at the ceremony, Akanishi thanked to the fans, saying, "I'm not used to receiving this kind of award, so I'm very happy. �I want to thank to all the people who voted for it." Best Foreign Picture: "The Hurt Locker"
Ishihara Yujiro Award: "THE LAST MESSAGE Umizaru"
Fan Award (Japanese Movie): "BANDAGE"
Fan Award (Foreign Movie): "AVATAR"